Teachers are becoming increasingly concerned about Common Core. Here's another teacher speaking out against the federal stimulus funded initiative. The admissions of error, the requests for moratoriums, the recognition that perhaps testing has gone too far, are running like wildfire in the last few weeks. We have Randi calling for a moratorium. Bill Gates admitting that maybe testing tied to teacher evaluation is out of control. Arne wants us to recognize testing mistakes as learning opportunities. And they attempt to appease the public by finding testing companies who can do it better. They continue to push messages that keep the public from remembering that teachers know how to assess – teachers assessing is NOT an option in this brave new world. Our knowledge must become obsolete in order to profit off of public education. Our knowledge of teaching and learning – our knowledge of how to support learners in becoming more than a test score – must be erased - they do not want students who are more than a test score - this defeats their goal in the global economy where we will serve them. 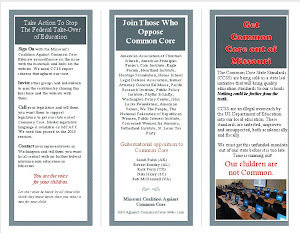 We need to be clear that any concessions, any admissions of error, any offer to give us time away from those horrid high stakes tests at this moment are simply a ploy to encourage us to sleep away the next few months while they prepare to launch the PARCC and SBAC for our children and anchor the common core into the heart of public education, there by destroying it, along with our teaching profession, our children's privacy and our democracy. Be very awake. It is May 2013. PARCC and SBAC testing will be rolled out in the upcoming school year, 2013-2014. Our window of opportunity to stop this train from starting is short and must be aggressive and fearless. The goal right now is to appease us so that we believe we are making headway and believe that they hear our voices and care. They do not care. What is most frightening at this very critical time is the mass of educators who have been swayed to believe they do care. 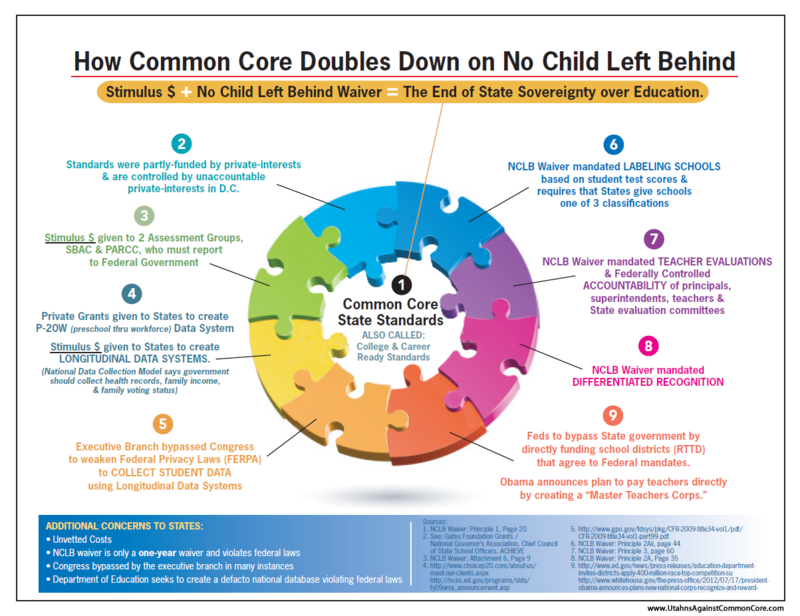 They have been swayed to believe that the intentions with common core are well meaning. I believe we have made some headway in educating the public about the harms of high stakes testing, but we have not made it clear that the common core standards, curriculum and assessments that come with them will destroy our public school system, our profession, our children’s future and our democracy. Those of us who work in public schools today find ourselves in a dark cave - NCLB has stripped away all windows, all light, all sparks that ignite the fire in a child’s soul. RTTT has come forward to take what is left – the shell of learning and teaching – and recreate it into a form or being that I do not recognize as human or alive - it is death. What we have been left with in the public schools has no heart beat, no warmth, no breath of life. Those of us who are in the public schools and know what they are trying to force upon us are desperately blowing on the spark, rubbing together the sticks, and attempting to keep learning alive. Because there are many of us in our schools doing this, we are momentarily able to survive and protect the children as best we can under these harsh conditions. The PARCC and SBAC come next fall. I am frightened for the children - the onslaught of common core lock step scripted curriculum will step forward to embrace the PARCC and SBAC; the slow death of public education will speed forward quickly. The attempt to silence teachers next year will be greater, more intimidating and more punishing than we have ever seen. The attempt to force us to accept our fate under the guidance of the common core, the mission of the World Bank, the billionaire boys’ club, and RTTT policies will be rolled out in various ways. They will stifle us with mandates, but then will allow us up for air as they admit mistakes on this exciting journey of learning where we find our way - together. They will send us babbling into arguments about the pros and cons of poorly written test questions, better tests, refined tests, creative online tests, better common core curriculum created by teachers and better technology for testing. They will engage us in discussions as they admit their “bumps” along the way on our new found path; they will try to take our hand and walk with us as collaborators. They will grant us the grace and time to become more as we embrace the common core standards - during which, we will be contending with teacher evaluation, new legislation and new tasks surrounding creation of common core curriculum in our individual districts. They will keep all of us very busy putting out fires. There will be more petitions, moratoriums, proclamations, opportunities to offer feedback - and it will all be pointless. Do not engage in this. We must each look at our individual source of energy and use it wisely and in a manner that creates action to dismantle their system. While all of this is going on, our children will be sitting in classrooms unaware that they are being treated as lab rats. They will look at their teachers with trust in their eyes. The teachers who understand what is happening - who know common core has not been field tested, is developmentally inappropriate and is the cash cow to seal the deal on the privatization of public schools and destruction of the teaching profession - will do all that they can to treat their students in this experiment with compassion and kindness, attempting to keep them from harm; however, it will not be enough. The teachers who know not what they do, will subject children to great harm, as is already occurring. The time is now to prepare. As those of us teaching finish up the year, please know that this summer requires serious planning. Parents please know that educating our communities must be the absolute focus of our work this summer. 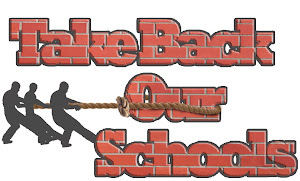 We must launch the 2013-2014 school year with plans to educate, act, and halt the harm done to our children – and we must focus our work with intent - do not be swayed by any form of action that does not end in concrete results that you can see – these results must disrupt or halt their work. They will attempt to exhaust us by creating false opportunities to act – do not engage in any of these – I cannot stress this enough – we have already wasted precious time doing this. United Opt Out National is in the process of creating an opt out guide tailored to the specific needs of each state, as well as a guide for early childhood education, and special/exceptional education. However, a guide is worthless unless it is acted upon – we must act. Refusing what they offer us is the quickest way to halt their progress. We must refuse the assessments and the common core in all shapes and forms. Parents – you are essential in this fight. Teachers will refuse as best they can, but the parents can lead the way. They know we are making progress and they are planning strategies to halt our progress now. They will cash in on public education at all costs – including our children – they do not care about our children. Their children are fine, and they (corp.ed.reformers) have no ability to see, hear or feel what we know – they are not in our schools, and quite honestly, if they do come to our schools, they will not be able to see what we see - they view the world using a business model. Our work as educators involves heart. It involves soul. We help shape the lives of children, today and tomorrow. It is messy, it is unpredictable and it is impossible to place in a standardized box. They protect each other and their world. Their heart is simply incapable of understanding our heart. Call it evil. Call it fact. Call it ignorance. Make sense of it however you must, but know that attempting to get those who profit off this madness to understand is futile during these urgent times. Do not waste your time. Look to those who do understand and act. There is very little time left. There is no time to hope for a change of heart. Their goal is to educate our children so that they are ready for their low level entry jobs – they will save the higher positions for their children. They plan to privatize public education so that what is left is the basics (simply read, write, regurgitate their information), with public tax dollars funneled to profit them while making the public believe that “innovation” is occurring via online learning and assessments that claim to assess higher level thinking. Those of us who know what is going on will find more constraints placed on us wherever we turn. They will attempt to accuse us of wrong-doings (specifically teachers involved in activism), humiliate us and force us into submission. They will try to make us go away. Be prepared to discover that there are some whom you may have trusted, who will begin to walk a careful line between their world and our world, or simply turn their backs on us. Be wide awake. And be prepared for the greatest fight of our lives. If you are concerned about Common Core, have questions that have not been answered by DESE, sign this witness form to be presented at the House Hearing on SB210 tomorrow, Monday, May 13.